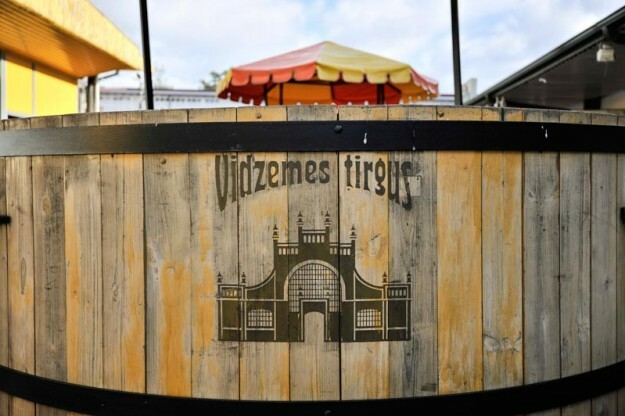 «Rural delicacies in the middle of the city», – this is the best way to characterize Vidzemes market. 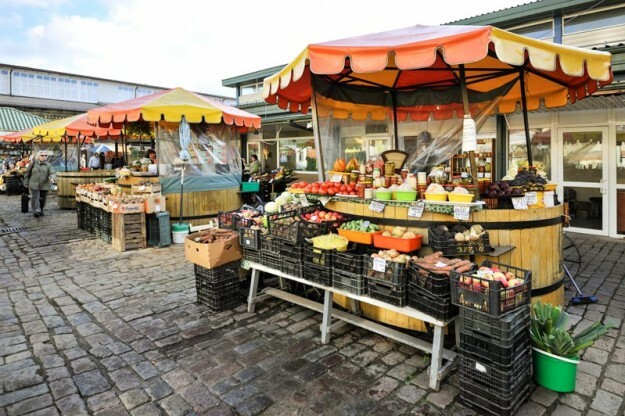 Many positive changes lies ahead, it’s necessary to release it from the remains of the past and turn it into a modern and attractive trade place where excellent and qualitative products of the Latvian farmers as well as other products are available. 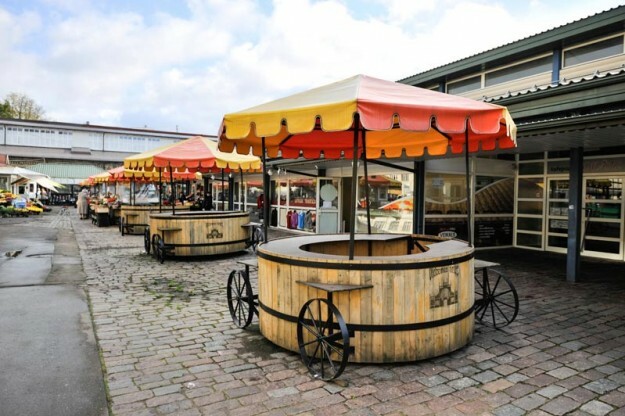 The Vidzemes market works since 1876 – it was established on the place of New Church of Sacred Gertrude near an artesian well, or the Big Pump. 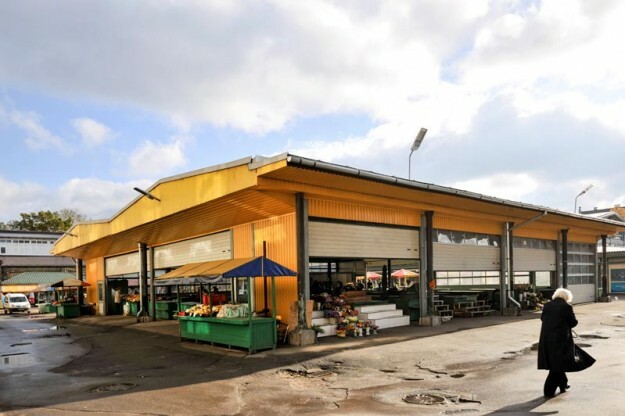 It was the second-large grocery market (the largest one was the Daugavas market). 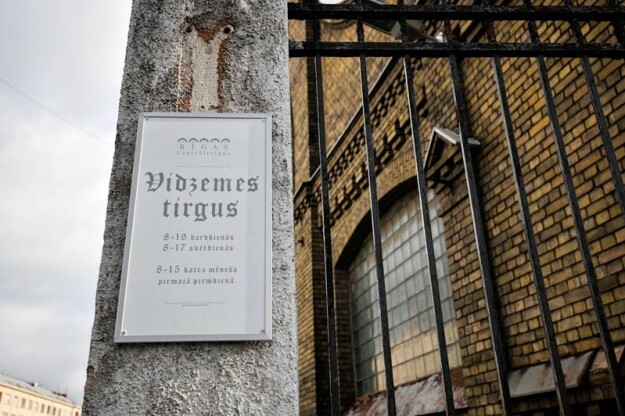 The Vidzemes market arose just because it was difficult for suburbia to reach the Daugavas market, and then get back home with purchases. 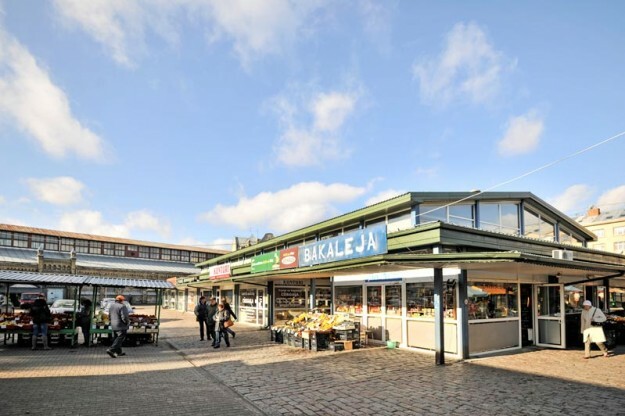 Therefore Riga Council provided the market place in the suburb. There were a lot of merchants therefore the market was moved to the present place – at the corner of Brivibas and Mathis streets in 1897. The Vidzemes market was the very first in Riga with well-planned pavilions. On October 15, 1902 two trading pavilions on Alexander (present Vidzemes) market and management building at the corner of Brivibas and Mathis streets were opened. 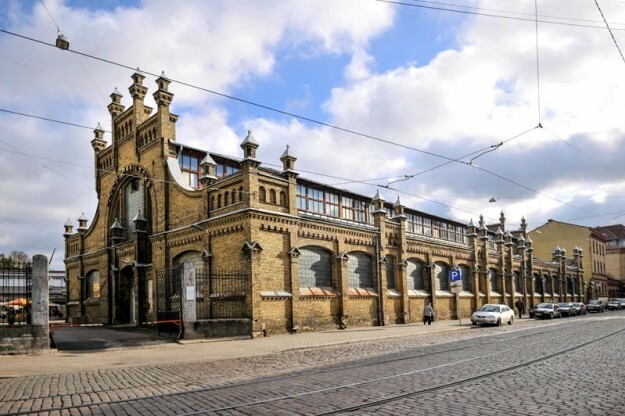 One of pavilions – the first closed trading hall in Riga – was provided for meat trade. In the second hall (it was open) other products were offered to consumers. The cost of construction works made 235 thousand rubles. 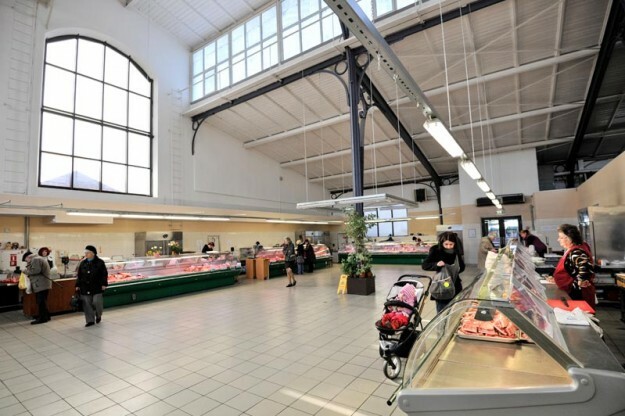 Market buildings are constructed in style eclecticism with use of metal farms in accordance with the project of architect Reynkhold Shmeling. Functional trading pavilions, very monotonous in a profile, had playful frontons. Customers can get in the market territory with their personal transport. The first hour of parking – 0,50 LVL, the next hours – 1,68 LVL.